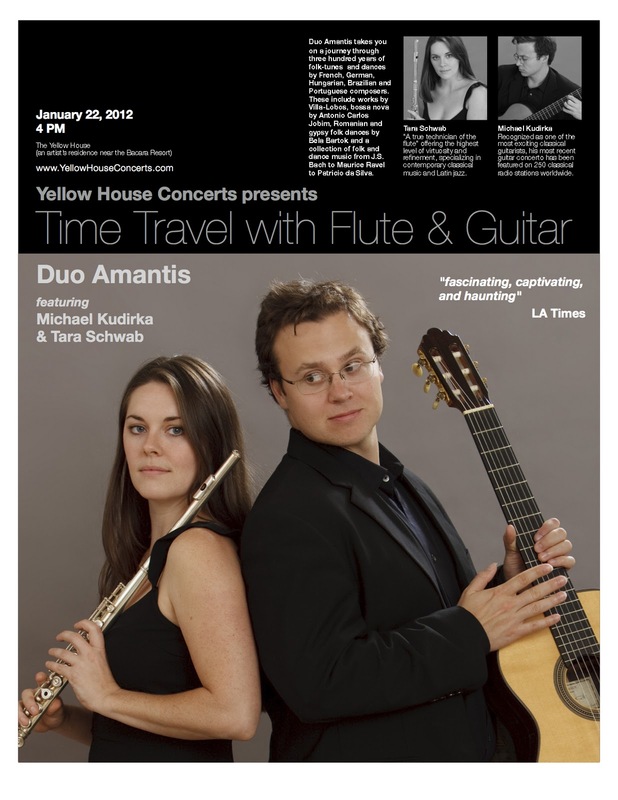 The Yellow House Concerts in Santa Barbara presents the first concert of 2012 with the Duo Amantis, featuring celebrated virtuosos Michael Kudirka (guitar) and Tara Schwab (flute), whose performances have been described by the LA Times as "fascinating, captivating, and haunting". The concert takes place on Sunday Jan. 22 at 4pm. The concert program presented by the Duo Amantis takes the listener on a time travel through three hundred years of dances and folk-tunes as written by French, German, Hungarian, Brazilian and Portuguese composers, dating from 1722 to the XXI century. The Duo Amantis will perform works by Villa-Lobos, bossa-novas from Antonio Carlos Jobim, Romanian and gipsy dances as depicted by Bela Bartok and a collection of dance music and folk-tunes from J.S. 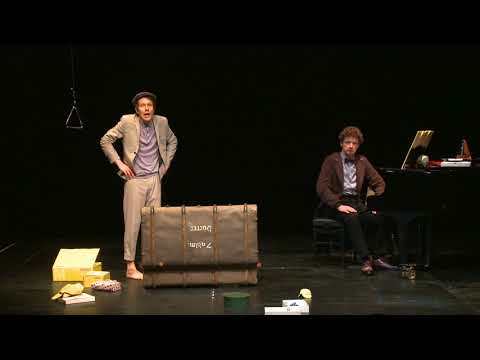 Bach to Maurice Ravel to Patricio da Silva.